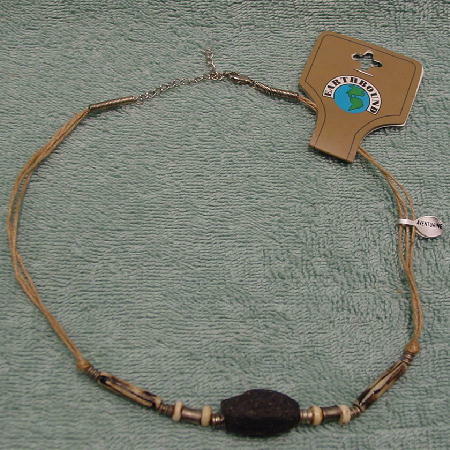 This never-worn necklace was made in India. 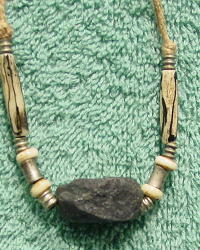 It has a center genuine aventurine stone with metal and ceramic beads. There are 3 strands of twine on each side and a silver-tone lobster clasp and a 2 1/2" long link chain. Eden picked it up while modeling in Australia.